To better serve our students, there will be a change in bus routes for the Sundowner Subdivision. Starting Friday, January 26th, all students north of Cavalry Lane will be on Bus Route 54. 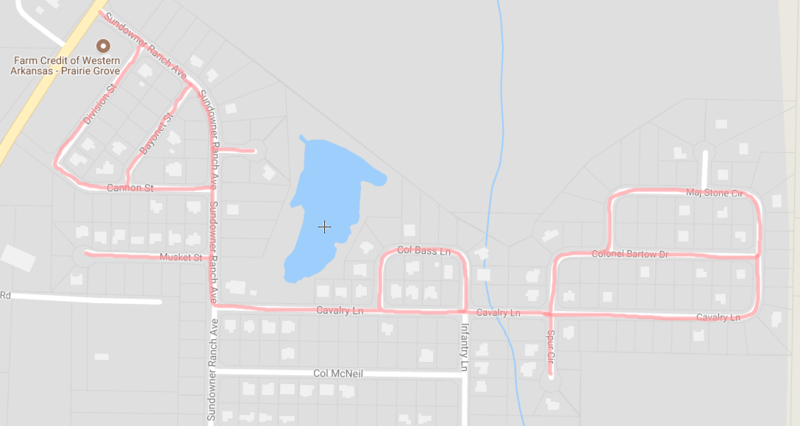 This change will include the following streets: Musket Street, Cavalry Lane, Major Stone Circle, Major Pindall Circle, Colonel Bartow Drive, and Colonel Bass Lane. Approximate pickup times will start at 6:50 am and approximate drop off times will start at 3:30 pm. If you have any questions, you can contact the Prairie Grove Schools Transportation Department at 479-846-4233. This map outlines the streets impacted by the new bus route change.